Our organically crafted Nutmeg Hydrosol is steam distilled from the sun-dried rich, brown kernels of the tall Myristica fragrans trees, also called East Indian Nutmeg trees, that grow wild in the tropical forests of Indonesia. The hydrosol has a sweet, spicy, warm, slightly woodsy aroma. This hydrosol is particularly helpful in supporting healthy digestion and ease a nauseous stomach. Native to Moluccas (historically known as the Spice Islands ), Nutmeg is generally cultivated in the areas surrounding Indonesia. Nutmeg and Mace (the bright red husk of the Nutmeg shell) have been used as culinary spices in all corners of the world for many centuries. It was first recorded in Sanskrit as Jaiphal and believed to be brought to Europe by Arab traders. Along with helping to support healthy digestion, Nutmeg Hydrosol can also be a tremendous support when looking to manage minor pain and inflammation as well as help ease unwanted muscle spasms. Nutmeg has anti-inflammatory properties and therefore Nutmeg Hydrosol is an effective treatment for arthritis, rheumatism, lumbago, etc This hydrosol is also helpful when wanting to reduce the presence of unwelcome bacteria and fungus. 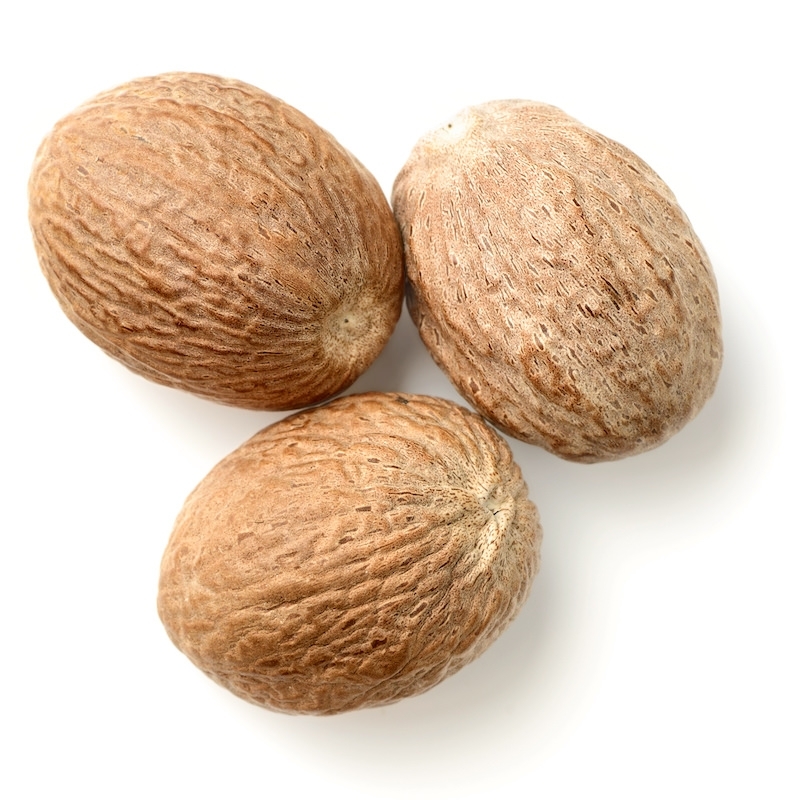 Additionally, Nutmeg Hydrosol can help improve overall circulation. It is hydrating and energizing, making it useful as a toner for all skin types, as well. Emotionally and energetically, the aroma of Nutmeg Hydrosol is uplifting and invigorating and can help ease worry and improve negative thinking. This hydrosol is also a lovely choice when looking to support a good night's rest.